In general, Lusida Rubber Products, Inc. provides superior quality plastic crosshead extrusion services for the metal parts that need encapsulation. They are also highly specialized in manufacturing closed cell sponge rubber and dense rubber as well. Lusida Rubber is currently dealing with products that are found to be useful since it guarantees optimum softness and flexibility besides strength and rigidity of metal inserts. They primarily implement state-of-the-art technology to make sure that the metal parts are manufactured as per the specifications. It offers maximum durability and reliability. Lusida Rubber Products, Inc has successfully earned the credibility of being one of the top suppliers of quality extrusions. The even take pride in being able to meet the highest quality standards. It has the ability to insert copper wire, reinforcing materials and nylon strapping. Lusida have emerged as one of the pivotal parts of an extruded product. Plastic crosshead extrusions are meant to manufacture gaskets, cable and wire. They primarily use eco-friendly products to maximize waste and being energy efficient. Lusida provides constant assistance to the customers in choosing environment friendly thermoplastics for a specific project. They are highly specialized in the production of plastic crosshead extrusion. 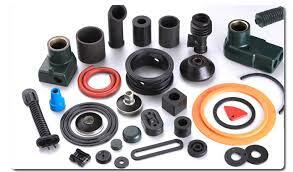 Lusida Rubber aims at manufacturing top quality products at an affordable rate.